Updated Monday February 25, 2019 by JBL. When does the 2018-19 Season Begin? The season begins on Sunday November 18th and runs through March 3rd. The season begins exclusively with instructional clinics, drills and scrimmages for the first 2-3 weeks. Teams are not formed until mid-December. There is still time to join us thru December and beyond. How are the divisions divided? In the 1st-2nd grade division, the boys and girls play separately. At what time does each division play? NEW!! 1ST & 2ND GRADERS - BOYS & GIRLS – 1:00–2:00pm- Limited session for those unable to attend the noon session due to reigious school and other similar conflicts. Please note that these times are subject to change and might vary plus/minus 30 minutes. <p style="Trebuchet MS" trebuchet="" 0px;="" cursor:text;word-spacing:0px"="">Please note that JBL takes great pride in being a fabric of the Westchester Jewish community and bringing together Jewish families of various schools, denominations and observance levels. In recent years, we have discovered that some families were unable to participate because of scheduling conflicts with religious/Hebrew school. To that end and to mitigate at least part of this problem, we have added an additional session at 1pm for those 1st-2nd graders who attend religious school and unable to make the regularly scheduled noon session. Due to coaching and court constraints, there are only limited spots available. We hopes this added session allows more children to participate (without having to choose between education and JBL). ​Where are the sessions held/games played? Is the program instructional, competitve games, or a combination of both? First and foremost, it's FUN! We have cultivated an environment of fun and inclusiveness. For players who are true beginners, the program will give them a taste of basketball in an organized setting and will teach them basics. For players who already have some skills, the program will allow them to satisfy their competitive juices. For the first 2-3 sessions of the season, all players participate in instructional clinics. Each player partakes in drills that are fun and instructional. Depending on the age group, some partake in scrimmages as well. After the first few weeks of strictly instructional clinics, the players participate in games with accredited referees. In an effort to reinforce their skills and focus on fundamentals, a period of time will be allocated to short drill sessions prior to each game. If one of my children is an inexperienced beginner and the other an experienced star, is there room for both to flourish and enjoy the JBL experience? Yes, players at JBL thrive and have an enjoyable experience regardless of skill level. We intersperse instruction with gameplay, and make teams and substitutions with skill level and competitive balance in mind. Advanced players are matched vs advanced players, and the lesser-skilled players are matched vs similarly skilled players. For the younger groups, coaches are involved in the game and ensure that all players receive "touches". Players of all levels not only have fun and feel like part of the team, but they also have an excellent BASKETBALL experience. My kindergartner has never touched a basketball and is my oldest child. Will she do ok? Will she be able to function in a structured environment? At this age, part of the challenge is to get the kids to pay attention, follow instruction and to remain engaged in a structured environment. Many parents are very apprehensive and often wonder if their respective 5- year olds will stay the course. Well, guess what; the kids love it and thrive in our program. Since we began the Kg program 7 years ago, I am proud to say we have had only 1 withdrawal out of over 200 participants! In the Kg program, it is all about instruction and having fun. Following calisthenics, the players join their teams and each team rotates among a number of drill stations, e.g. passing, shooting, dribbling etc. If a child is a true beginner who has never touched a basketball, or a seasoned veteran who has played with older siblings, it makes no difference. Each will succeed and have fun in this program. They are playing and learning WITH each other, not against each other. Our coaching staff consists of a core group of professional coaches, most who have been with JBL for 10+ years, some former college players, many of whom have been with JBL for years, as well as varsity players from local Westchester high schools, including Schechter, SAR, WHHS, White Plains HS, Edgemont HS, Mamaroneck HS and Ramaz. Some of these varsity players serve as asst coaches and clinic helpers, while others with experience and the appropriate skill set might act as head coach of a team. As an example, our Head Coach and clinic director is Coach Jason, who has been with us for 13 years, has a Masters in Phys Ed, has coached high school basketball as well as youth basketball at reputable basketball camps throughout Westchester. This past summer, he was Basketball Director at a respected overnight sports camp, Ramah Sports Academy. Jason offers private instruction and is recognized as one of the leading youth basketball coaches in the county. -Coach George has been a varsity high school basketball coach, an AAU coach, an executive in the White Plains Recreation Dept, as well as an accredited referee. He has been part of JBL in various capacities for 13 years. -Coach Mike played basketball for a Division 1 college and has coached at local basketball camps for years. He provides private basketball instruction and has also provided lessons on strenght and conditioning. He has been with us for 5 years. These coaches are just a sample of our core group of professionals, to name a few. Some of our HS varsity coaches have worked their way up to experienced coaches after "apprenticing" for 2-3 years. One of our former coaches has moved on to a Division 1 ACC powerhouse on a full basketball scholarship. Our coaching staff is a fine blend of teaching/coaching professionals, former college players and current coaches at reputable basketball camps, assisted by HS varsity players. This season, we will be adding some new coaches, including some from local basketball camps. 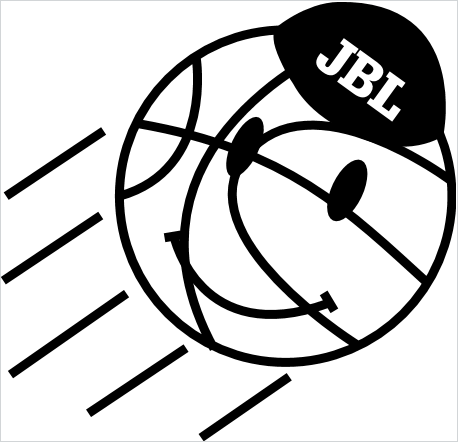 In addition to basketball skills, they MUST possess the demeanor, approach and patience to interact with children and adhere to the mission and values of JBL. How can my business or I become a sponsor? Many of our sponsors are local businesses , organizations or professionals who take advantage of our sponsorship opportunities, leading to a mutually beneficial outcome. Please click on the Sponsorship/Donor Link on the website Menu for further details.